EBG’s resistors regulate voltage, for instance, in power electronics of frequency converters for locomotives or wind turbines as well as in modern medical equipment. Their advantage is a very low temperature and voltage coefficient, a high degree of stability, high-temperature resistance, and very low tolerances. 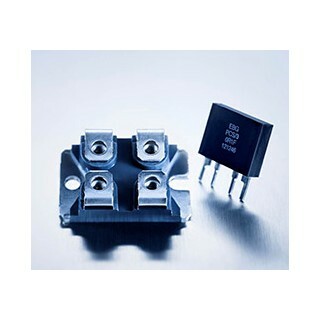 EBG produce shunts in three different power categories with four-contact kelvin connectors. They feature a high insulation resistance and low temperature coefficients. Shunts are typically used in current measurement and current monitoring. the SOT-227 design for mounting on a heat sink or the design in a compact housing, e.g., for on-board assembly. - 3 W / 60 W / 100 W current sense resistors. 4-terminal Kelvin Connection.